Hope that they’re named Meyer. Then eat them. The end. Okay, not really. I have more to say. And recipes to divulge. But it’s getting late, so I’ll try to make this snappy. I have a confession. I love lemons. I do not love lemon desserts. I would go so far as to say that they make me cringe. I can’t think of many edibles that can do that – truly, I think it’s just durian, natto, and lemon desserts. There is something about mixing the tartcitruszest of a lemon with any dough, custard or cream makes my taste buds panic. Occasionally I’ve ordered a scone (or a fancy doughnut, but scones are the usual culprits) and it isn’t remotely apparent that it contains lemon zest until I take the first bite. And then…flavor fail. I now go so far as to take proactive measures and ask if the suspicious baked good contains lemon. It’s just not worth the risk. A couple of weekends ago, we accumulated a sackful of Meyer lemons that were picked fresh off the tree by our friends. It was Sunday morning and we were sleeping while they picked. I love our friends. 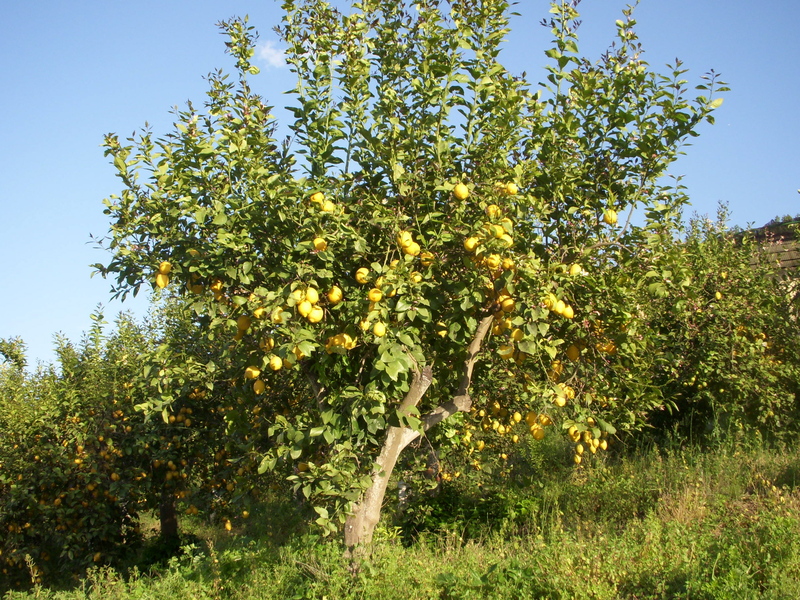 Since then, we have been eating lots of lemons. I always love lemon in salad dressing. Lemon with fish. Lemon makes water better! 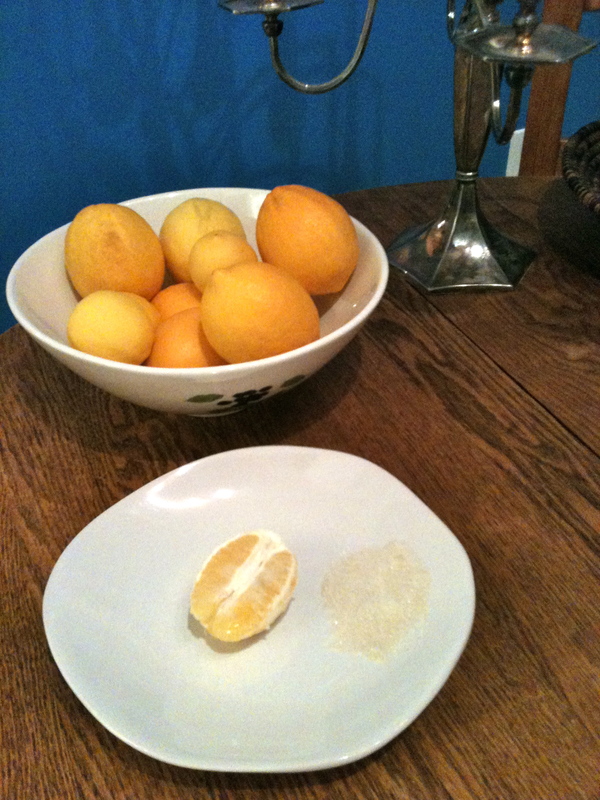 Lately, I’ve been peeling Meyer lemons like they’re oranges and dipping them in sugar. So simple and good. 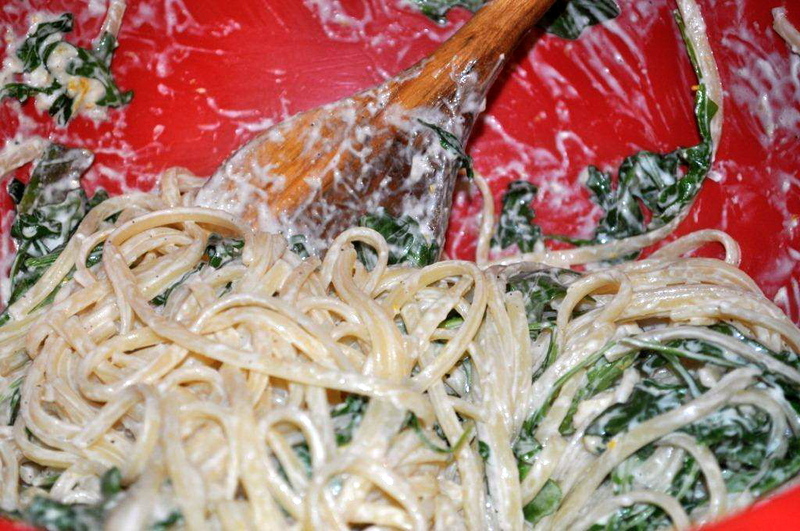 I came across a recipe for Creamy Meyer Lemon Pasta with Arugula. It looked too easy not to try. Good news. It is easy. And it is good. I found the recipe online but upon conducting a quick search, I can’t find it anymore. It doesn’t really matter. I will share what I know and you can take it from there. 1. Bring water to boil in a large pot. When the water is boiling rapidly, add salt (generously) and then the pasta. 2. 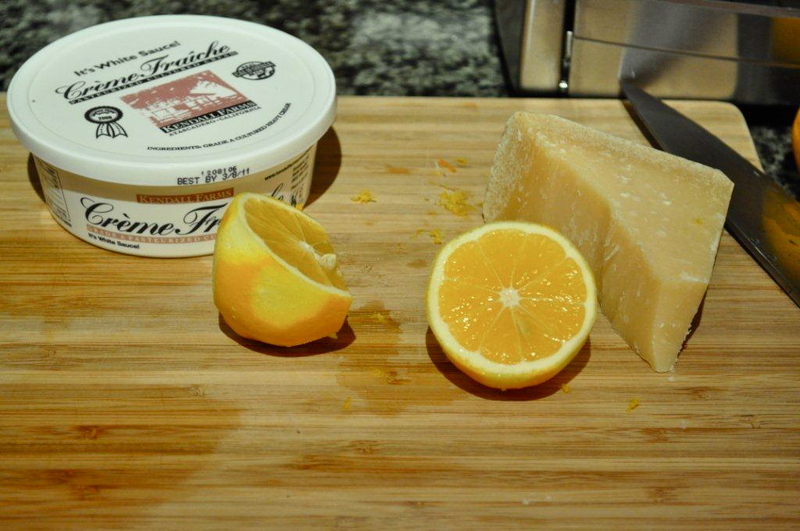 While the pasta cooks, grate the parmesan and zest the lemon into a large bowl. Add the arugula to this bowl as well. 3. When the pasta is cooked al dente, quickly drain (it should still be slicked with water) and add it to the serving bowl that’s holding the cheese, lemon zest and arugula. 4. Squeeze the lemon juice and toss again. Last, add the crème fraîche and continue to toss well, until the sauce is well-distributed, the arugula is wilted, the cheese is melty. Grind some pepper, add a dash of salt and toss once more. Serve immediately. To be fair, I know many people love lemon desserts. My friend Ellie loves them. And I owe our big bowl of Meyer lemons to her, picked fresh off the tree in Napa. Ellie also loves cooking. And food blogs. 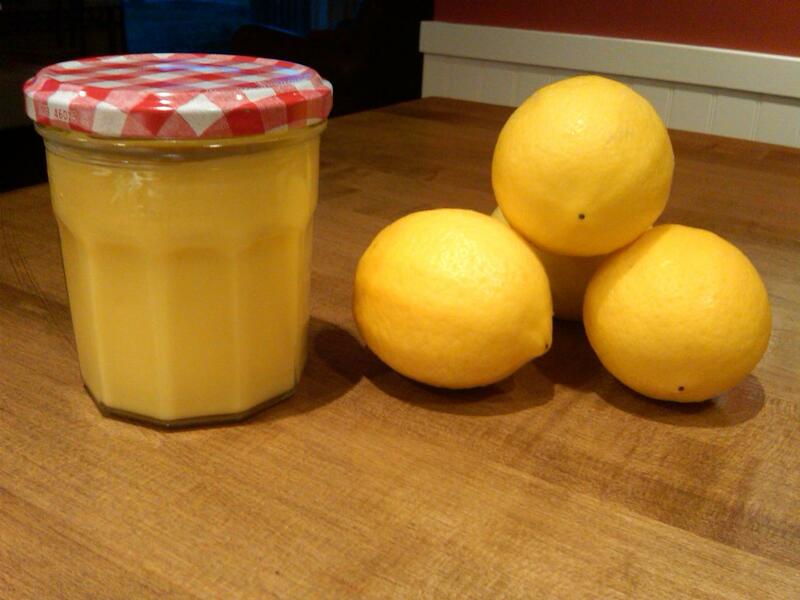 She found a recipe for Meyer Lemon Curd on one of her new favorites, Sprouted Kitchen. When we were up in Napa, Ellie made batches of this stuff. She knew the recipe by heart. Squeezing. Stirring. Gently pouring curd, the color of filtered sunlight, into glass jars. I enjoyed watching and smelling. Eating, not so much. But that’s just me. Ellie tells me that she eats it with everything. Spreads the curd on toast. Puts a dollop in her granola and yogurt. Eats it with a spoon. 4. Increase the heat a VERY LITTLE bit and cook over moderate heat, whisking constantly, until the mixture thickens and just begins to become jelly-like. It’s done when you lift the whisk and the mixture holds its shape when it falls back into the saucepan from the whisk. For me, this took about ten minutes in a 12” pan. Thanks, Jeff! Once I get a hold of more meyer lemons, I’ll give this a try. I think I’m a fan of icy lemon desserts, just nothing creamy. Ick.